WENTZVILLE – When it comes to evangelism and outreach, video games are probably not the first thought in anyone’s mind. Video games have a reputation for profanity, violence and sexual content that worry Christians. However, there are millions of people who like to play video games who are not exposed to the gospel. For a pair of brothers from Wentzville, this community represents an opportunity. With a camera, a video game, an internet connection and infectious personalities, the Greenings are leading hearts to Christ in a virtual world. Joshua, 19, and Daniel, 16, use Twitch – an online platform that allows players to stream their games for people around the world to watch – as their vehicle of outreach. Viewers can watch in real time as the Greenings play their games, and Twitch also offers a chat function so that viewers can talk to the streamers and to each other. For the Greenings, Twitch is the ideal platform for their ministry. And for anyone who might be led to their channel, it’s obvious very quickly that it is a Christ-focused part of the internet. The name of the channel itself is TheWay_TV. The name is a reference to John 14:6 – the favorite Bible verse of Joshua and Daniel’s grandfather, Ken Greening. Ken Greening and his wife, Mary Sue, ran a youth center in the 1970s also called The Way. That center is no more, but it lives on through Joshua and Daniel’s efforts. “[The Twitch channel] has actually become like an online, virtual youth center where kids can spend time, have fun and hear about Jesus while they are watching games being played,” Joshua said. On their channel’s main page is a section where the Greenings explain who they are and the purpose of their channel, and they use that space to proclaim their faith. For them, Twitch is an untapped mission field and they are the missionaries. And in fact, their efforts are reaching all over the globe. According to Joshua, they have viewers from all across the United States as well as from Canada, Great Britain, the Netherlands, Germany, Serbia, Japan and the Philippines. Each and every one of their viewers is exposed to the gospel. The brothers interweave their testimony into their gameplay, and if you tune into one of their streams, you will often find them offering advice and encouragement to other Christian streamers. Joshua is enthusiastic, welcoming every new follower or viewer with a shout-out. Daniel is a bit quieter, but the two together create an unstoppable team of positivity and light. The tagline for their channel is “all the love and hype you can handle,” and it certainly seems to be true. They also develop relationships with their regular viewers. When someone in the chat says they’re going through a hard time, Joshua and Daniel will pause the game to pray for them. When one of their regular viewers had a birthday, Joshua and Daniel threw her a surprise virtual birthday party complete with party hats, streamers and a large cookie cake with the viewer’s username on it. “We want the channel to be a place where people can find some love and joy and entertainment no matter what’s going on in their everyday lives,” Joshua said. Joshua and Daniel’s approach to their channel has paid off. They first started streaming in March of this year. Since then, they have grown to have nearly 300 followers (and gaining every day). For Joshua and Daniel’s parents, Jim and Becky Greening, this experience has been amazing to see. 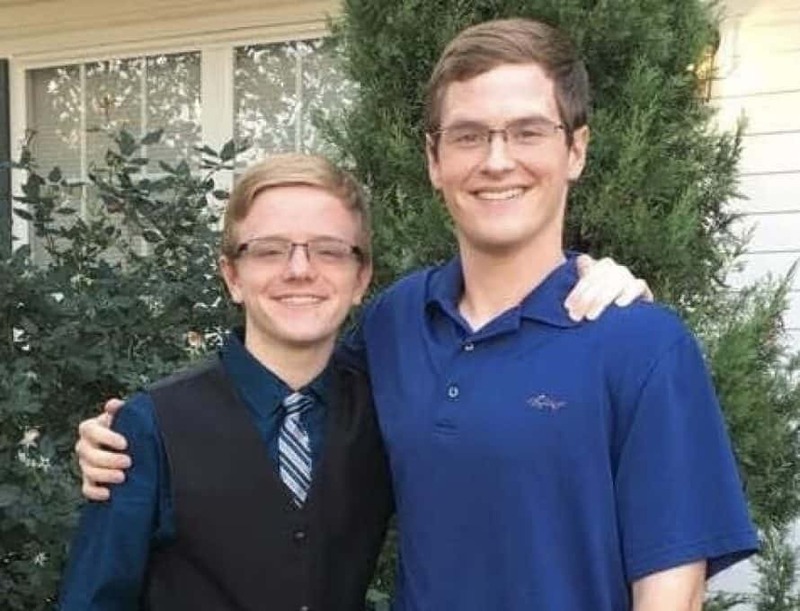 Joshua and Daniel stream up to six hours a day on their channel, but when they’re not streaming they are active in their home church – First Baptist Church in Wentzville. They take Kenpo Karate through their church, work with their youth group, and go swimming at the pool. When it comes to the future, they’re open to whatever God has planned for them.